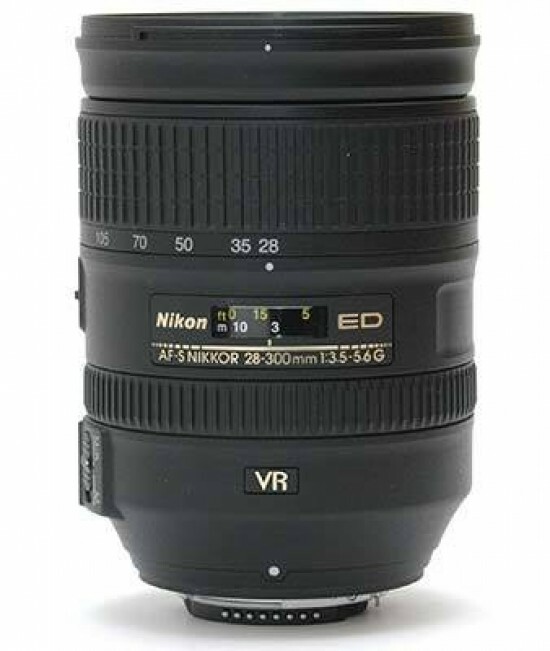 The Nikon AF-S Nikkor 28-300mm f/3.5-5.6G ED VR exceeded our expectations (which, admittedly, weren't very high given that this is a superzoom lens after all). Its sharpness, while not on a par with the best lenses we have reviewed, is actually pretty good. It never hurts to stop the lens down a bit, but the usable aperture range is actually quite broad at most focal lengths. This means that in the sharpness department, you are not paying too high a price for the convenience of having a single lens to cover such a vast range of focal lengths. The Nikon 28-300mm VR also handles chromatic aberrations well, with only limited purple fringing appearing along contrasty edges. In terms of optical performance, there are really only two areas of concern: corner shading (especially wide open at 28mm and 300mm), and geometric distortion (barrelling at 28mm, which turns into strong pincushioning before you reach 50mm and remains visible throughout the rest of the zoom range, as evidenced in a number of our sample images). There is also some very noticeable focus breathing at 300mm, although I would not call that an optical defect. Mechanically, the lens is as good as you would expect based on the asking price: zooming is smooth without the zoom ring being too loose, manual focus is easy, and the auto-focus motor is silent. Vibration Reduction works, allowing you to take hand-held shots at shutter speeds that would be critically slow for the focal length used. Build quality is on a par with most recent Nikkors and there's even a rubber gasket around the lens mount for a degree of dust protection. So, who is this lens for? Any FX camera user who does not like to change lenses or simply likes the experience of going swiftly from wide angle to long telephoto. It's also a great companion for a number of film bodies, including the Nikon F65, F75, F80, F100, F5 and F6 – out of these we only tried it on an old F65, but it worked well (including AF and VR) except for some focus issues in low light. The 28-300mm VR is not the ideal choice for DX users though, who are better served by the smaller, lighter and cheaper 18-200mm VR.